The EasyPrint 3D from GeeeTech is slow, crashes, and -- if you're a Mac user like me -- can't even be used since there's no Mac version. 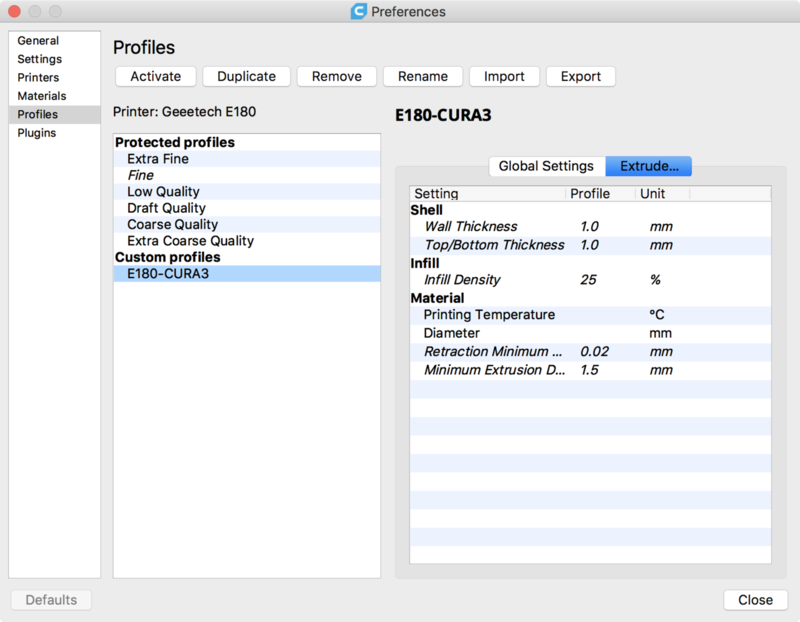 However, you can use Cura, Repetier, or any other slicer using the Geeetech E180 print settings in this guide. 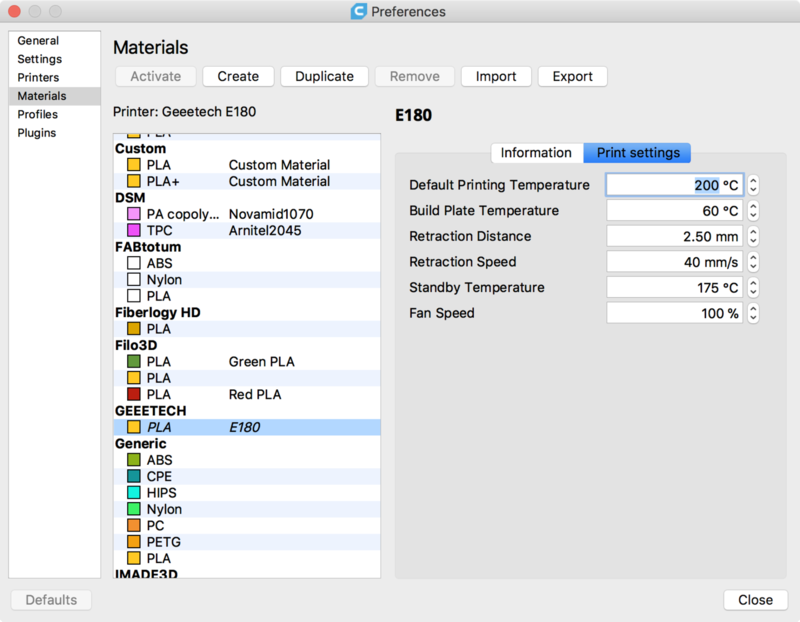 Next, we'll import our material settings for printing PLA on the E180. Of course, this can be adjusted later on a per-print basis, but this will get you started. Navigate to Preferences > Materials > Import. I uploaded the material settings to Github here. Import that file. Finally, we'll create a print profile. Again, this will import the ideal print profile settings for the E180. Once imported, we can select this profile whenever we make prints on the E180 and then make tweaks on a per-print basis. I uploaded the print profile settings to Github here. Navigate to Preferences > Profiles > Import and import this profile. You're good to go! 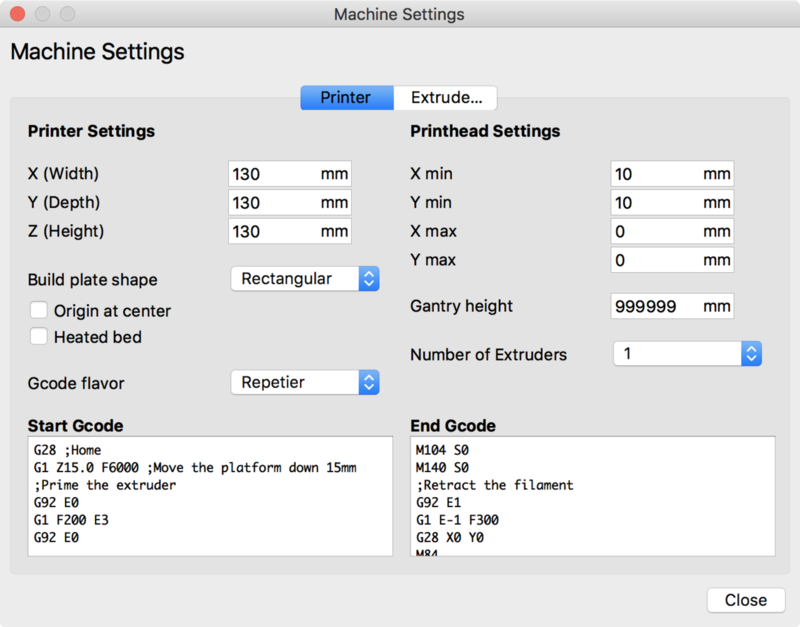 Now you can create gcode files for your Geeetech E180 using Cura, Repetier, Slic3r, or your other slicer of choice -- on either Mac or Windows!